The Williams River edges along the Highland Scenic Highway in Pocahontas County. Photo courtesy Rick Burgess. The 33-mile Williams River is a tributary of the Gauley River that descends from the Allegheny Mountains in eastern West Virginia (WV). It drains 132 square miles of sparsely populated mountain land in Webster County and Pocahontas County. 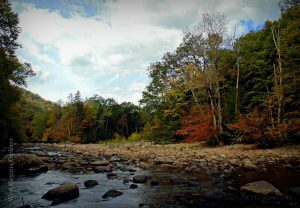 Part of the Williams watershed is located in the Handley Wildlife Management Area and in the Cranberry Wilderness Area of the Monongahela National Forest. The villages of Dyer, Donaldson, and Three Forks of Williams River are the only named communities along its remote course. The Williams River watershed has always been a sparsely populated. Two Dutch families settled near its headwaters but and left soon after because of the isolation they experienced. 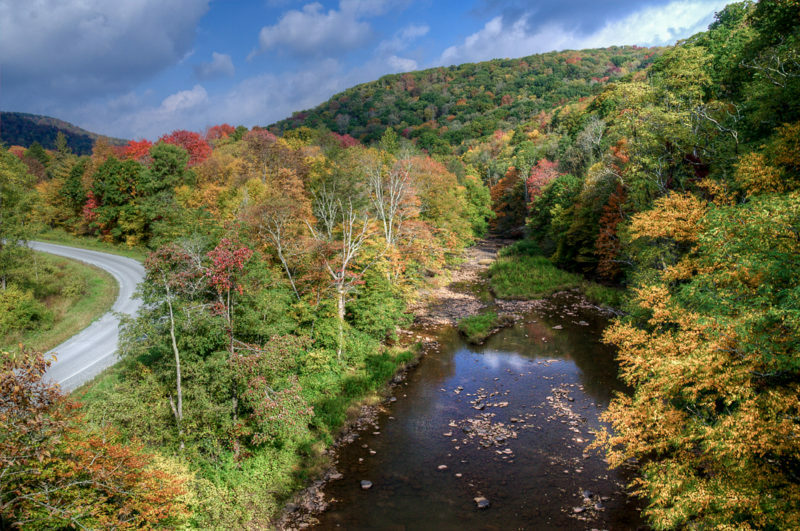 The region was timbered in the 1890s and was soon afterward purchased by the U.S. Forest Service as part of the the Monongahela National Forest.